Engineering. Management and Finance. Marketing Online. Web Development. Postgraduate program in Management and Finance. Part-time studies at London School of Business and Finance. Certificate in Design and Development, in HTML5, CSS and Dreamweaver CS4. Certificate Advance in Google Adwords. 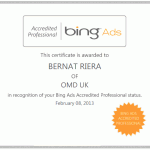 Certificate in online advertising targeted in display network and search. 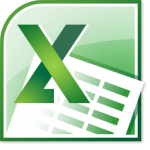 Reports and Analysis. Engineering in Automation and Industrial Electronics. Specializing in industrial electronics at the Technical School of Industrial Engineering ofTerrassa and aeronautical, UPC. Studies completed in February 2009. Specialized in Industrial Electronics at the Universitat de les Illes Balears. Studies completed in January 2007.